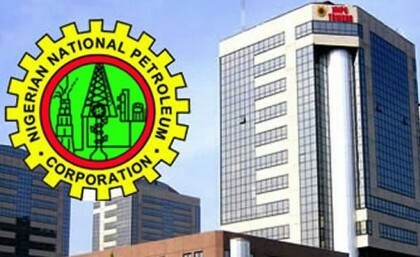 The Nigerian National Petroleum Corporation (NNPC) has commenced work on a scheme to improve the quality of diesel in the Nigerian market for efficient and optimal performance of diesel-powered engines. This was disclosed by the Manager, Collaborative Research of the Research & Development Division, Engr. David Akpan, in a presentation made to the Group Managing Director of NNPC, Dr. Maikanti Baru, during an official tour of some R&D facilities in Port Harcourt on Wednesday. Giving details of the research, Engr. Akpan said the R&D Division was working in collaboration with Petronas, Petrobras, Statoil and Saudi Aramco to achieve significant reduction in sulphur and carbon content as well as other impurities in diesel. He stated that the project also involves non-conventional upgrading of other refined products including crude oil. Speaking at the event, Dr. Baru described research and development as a vital tool for advancement in any organization desirous of re-inventing itself in the ever competitive market place. The GMD called on the Management and Staff of the Division to support him in the renewed vision to transform R&D. “Organisations that grow commit a significant part of their budget to research and development and we are going to do that; if what it takes for you to grow is to make you a limited liability company, we are going to do that,’’ the GMD stated. He, however, charged the Management and Staff of the Division to brace up for the challenges that come with operating as a limited liability company. “It means that your staff cost will not be borne by NNPC Corporate Headquarters but by you, and you have to make profit and support the Corporate Headquarters. We are looking forward to that day and we expect a lot from you,” he said. Engr. Akpan explained that the mission of the Division was to carry out research, develop technology and provide services to the oil and gas industry. He added that its operation was propelled by the vision to be a world-class petroleum research centre driven by innovation and quality. In the upstream, he stated that the Division has proven capacity to handle seismic studies, geochemical and geophysical studies, drilling/mud studies among others. The R&D Division, he also noted, has developed capacity in handling midstream issues like environmental and air pollution monitoring, environment compliance monitoring, environmental impact assessment studies etc. In the downstream sub-sectors, R&D has posted good results in testing crude oil assay, fresh/waste water evaluation and petroleum product quality testing among others.